For those that made it to E3 2018, or watched the live broadcasts, there were many incredible game announcements, leaving gamers with much to anticipate this year. Atari showcased another impressive line-up of multi-platform video game titles at this years show, from reimagined revivals of beloved Atari hits to new takes on current popular franchises, and completely original titles, Atari has an exciting lineup of games covering all major gaming platforms. In this Atari E3 Roundup, we give you a list of games announced at E3, but we are not stopping there. In upcoming articles, we will be releasing more in depth information on each of the Atari titles announced at this years E3. Tempest 4000™ (Xbox One, PS4, PC) - Developed by Llamasoft and legendary game designer Jeff Minter, Tempest 4000 is an action-packed arcade shooter that remains faithful to the original, while adding exciting new features and gorgeous 4K graphics. Tempest 4000 is set to energize your platform of choice this summer! RollerCoaster Tycoon® Adventures (Nintendo Switch) - Atari’s first Nintendo Switch game is an all-new entry in one of the best-selling franchises in PC gaming history, designed from the ground up to take full advantage of Nintendo’s unique portable console. Whether on-the-go or at home, adventure awaits in the theme park of your dreams! RollerCoaster Tycoon Joyride™ (PS4/PSVR) - Atari’s first virtual reality title finally lets players fully experience what it's like to be a customer in one of their own theme parks. Hop in, strap up and experience a thrill ride like never before! Transit City Touch™ (iOS, Android) - As an all-new city-building and transit-management simulation game, Transit City Touch allows you to grow and advance your city by creating, refining and upgrading your infrastructure. Open packs of cards to find rare and epic items such as towering skyscrapers, new buildings, transit stations, vehicles and more. Atari® Flashback Classics (Nintendo Switch) - Experience the excitement of 150 of the greatest Atari arcade hits of all time – including Centipede®, Asteroids®, Missile Command® and Yars’ Revenge® – on the Nintendo Switch! 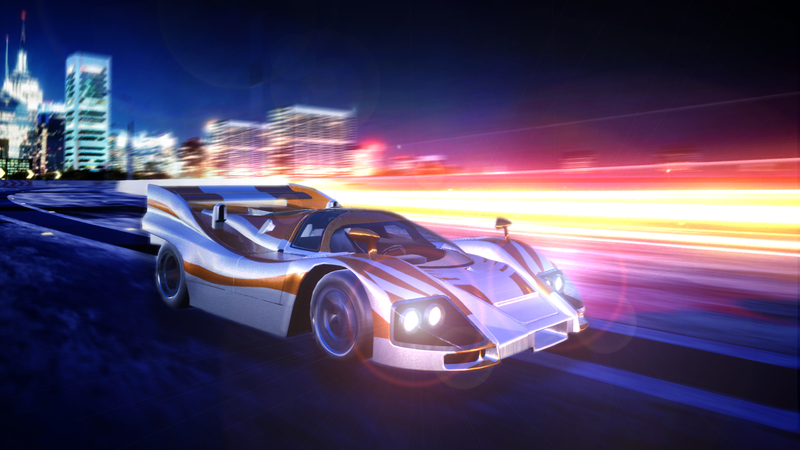 Night Driver™ (iOS, Android) - Go full throttle in this fast-paced endless driver that honors the classic and offers a re-imagined update to the legendary racing genre hit. Atari® Flashback Classics Volume 3 (Xbox One, PS4) - The latest remastered collection of 50 fan-favorite Atari platform and classic arcade titles is headed to current-gen consoles with HD support, online functionality and leaderboards! RollerCoaster Tycoon® Touch™ (iOS, Android) - The incredibly popular mobile title that lets you build and manage your very own theme park continues to get better. With major content updates and new features added every few weeks, it’s no surprise that RollerCoaster Tycoon Touch is frequently at the top of the respective app stores!